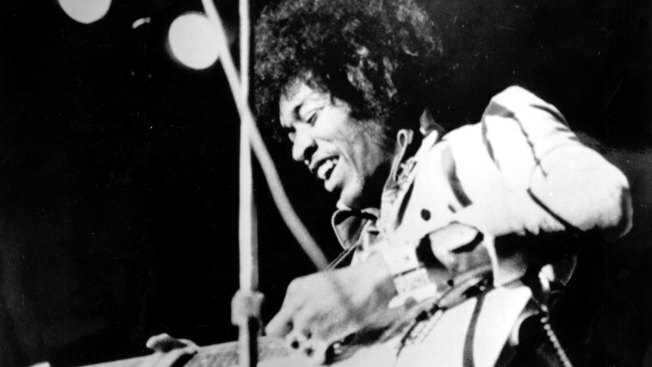 Many of the album's tracks were recorded by Band of Gypsys, Hendrix's trio with Buddy Miles and Billy Cox. Stephen Stills appears on two songs: "$20 Fine" and "Woodstock." "It sounds like Crosby, Stills & Nash except it's on acid, you know," Kramer, laughing, said of "$20 Fine." Johnny Winter appears on "Things I Used to Do"; original Jimi Hendrix Experience members Mitch Mitchell and Noel Redding are featured on "Hear My Train A Comin'''; and Lonnie Youngblood is on "Georgia Blues." Kramer produced the album alongside John McDermott and Janie Hendrix, the legend's sister and president of Experience Hendrix. Kramer said though "Both Sides of the Sky" is the last of the trilogy, someone could find new Hendrix music in an attic or a basement, which could be re-worked.